It was an evening of glitz, glamour and achievement as the 2017 Certificate of Shopping Centre Management (CSCM) and Advanced Certificate of Shopping Centre Leadership (ACSCL) students gathered to celebrate their success at the CSIR International Convention Centre in Pretoria recently. 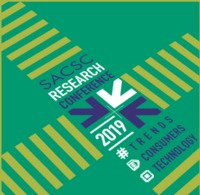 The courses, are a joint initiative between the South African Council of Shopping Centres (SACSC) and the University of Pretoria is led by Professor Chris Cloete. Cloete said he was taken aback by the response these courses have had over the years. “Since inception some 21 years ago, we have seen a steady increase in the number of students who register for these courses. The retail and shopping centre industries have huge impacts on the economy and GDP. These industries need skilled and learned individuals who can help grow this industry even more,” he said. One of the top performing students registered for the Advanced Certificate in Shopping Centre Leadership Gavin Jones from Growthpoint claimed the first-place prize for the 2017 year. He was followed closely by Wendy van der Westhuizen from Mowana Properties in second place and Neelofar Issa also from Mowana Properties in third. Gavin said he was humbled and surprised being the highest scoring student. “The ACSCL was an excellent balance between academic information and practical application. I loved the on-site lecture week and interaction with a fantastic group of classmates. 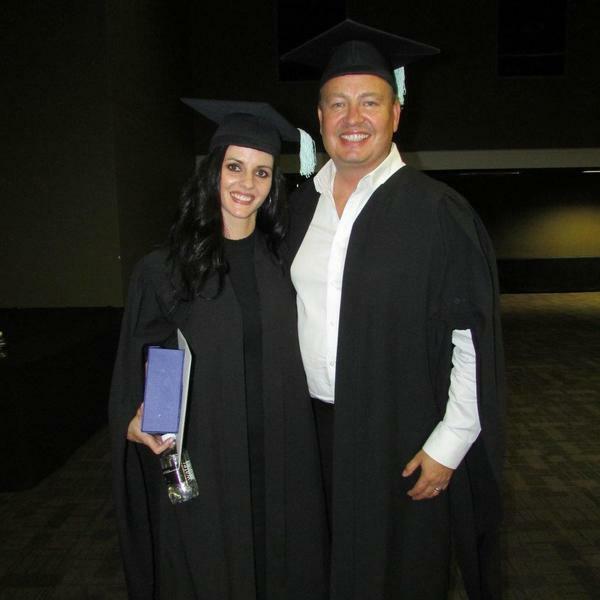 I would recommend anyone in the retail shopping centre industry to give this certificate course serious consideration,” he said. In the CSCM course, Emil Beyer took the top spot followed by Dennis van Staden from Nedbank in second and Albertus Visser from Novare Matola in third place. Emil from Shoprite expressed how proud he was after being announced as the top performing student. “I am very honoured and humbled to have received this accolade. After a week of minimal sleep and working through 800 pages of information, I’m certain all the candidates were all to happy just to know it’s done and dusted. Non-the-less, this course provided us with much needed insight into the shopping centre management and development industry. I believe it is a definite must, not only for the newcomers in the industry but also for the veterans wanting to sharpen up their knowledge and getting to know the latest trends and developments in the industry. I’d like to thank Professor Cloete and his entire team for providing us a course of the highest standard with various major role players in the industry sharing their knowledge and experiences with us. I’d also like to thank the company I work for, for granting me the opportunity to broaden my horizons,” he said. In the 2017 intake, a total of 42 students had registered for the CSCM course and 15 for the ACSCL course. Those students who wish to register for the 2018 intake may only do so for the CSCM course as the ACSCL course registration is closed. Registrations for the CSCM course are open until August 24, 2018. Chief Executive Officer for the South African Council of Shopping Centres Amanda Stops congratulated all the students who excelled in the 2017 intake of the CSCM and ACSCL courses and encouraged other professionals and individuals who are in the retail and shopping centre space to participate in the 2018 courses. “It is inspiring to see so many people participate in these specialised courses and share their experiences with us. We at the SACSC aim to provide up-to-date and relevant information, research and educational courses for our members,” she said. The CSCM course is designed to impart the principles and practice of shopping centre management and development to participants. The ACSCL course is a more in-depth look into the shopping centre and retail industry focusing on many topics such as town planning procedures, market research and financial mathematics to name just a few. For those interested in the CSCM and ACSCL courses, please visit www.sacsc.org.za or call 010 003 0228.